After a few years of flirtation with more-is-more sashimi decadence, we’ve come back around to sushi that’s simple, delicate, and pure. No gold-flaked lacquer, please. And hold the foie gras sauce, while you’re at it. We prefer to actually taste how fresh the fish is. 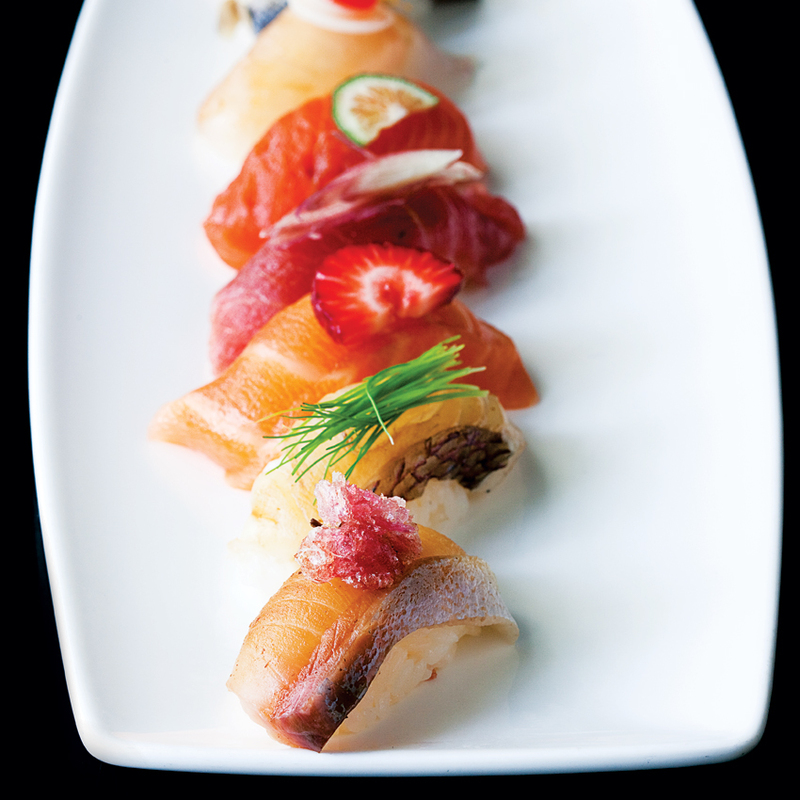 This is Oishii’s enduring formula: seafood, allowed to shine beneath only the most carefully chosen sauces. But that doesn’t mean the presentations aren’t artful: Crowned with just a garnish here or a flower there, each piece gleams like a jewel, a tribute to minimalism.